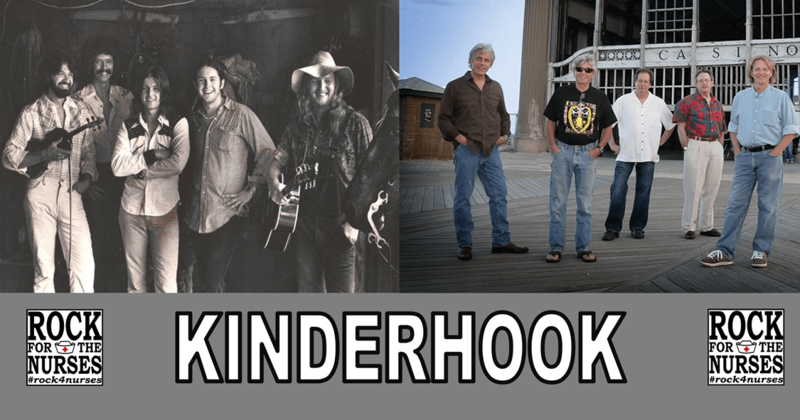 JANUARY 4, 2015 (POINT PLEASANT, NJ) - The Barbara Forfar Nursing Scholarship welcomes the return of legendary NJ country-rockers Kinderhook to Point Pleasant for the first time in over thirty years when it teams-up with the Idle Hour Restaurant & Bar to celebrate its Five-Year Anniversary on Saturday May 30th starting at 1pm. 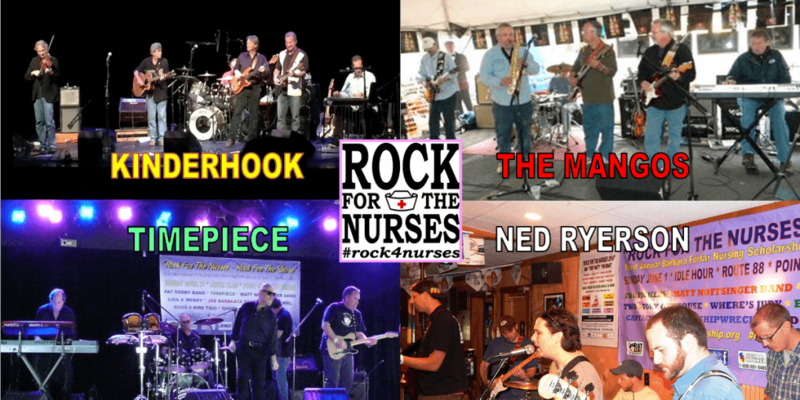 The six hour “Rock for the Nurses” fundraiser will also feature performances from Jersey Shore icons The Mangos, Timepiece, Ned Ryerson and his new band The Groundhogs plus other special guests and will include an all you can eat BBQ buffet, pig roast, outside tent party, cash bar, coffee, soft drinks, dessert, games, prizes, give-a-ways and much more for the entire family. The event will take place on Saturday, May 30th from 1pm until 7pm at the Idle Hour Restaurant & Bar located at 2600 Route 88 in Point Pleasant Borough. Tickets are $20 per person (kids 12 and under are free) and are available for purchase in advance on-line at eventbrite.com or in advance in person at the Idle Hour Restaurant & Bar. Tickets will also be available for purchase the day of the event at the door. All proceeds from the event will benefit The Barbara Forfar Nursing Scholarship Fund which annually helps the nurses and nursing students of Ocean Medical Center by providing nursing scholarships to nurses and nursing students looking to further their formal education in the nursing profession. “We are absolutely thrilled that Kinderhook will be joining us at our Five-Year Anniversary Party this year. It will mark their return to Point Pleasant for the first time in over thirty years. Add Jersey Shore icons The Mangos, Timepiece, Ned Ryerson and his new band The Groundhogs plus some other very special musical guests, and we are going to have one pretty big party at the Idle Hour come Saturday May 30th” mentioned Walt Konopka, chairperson of The Barbara Forfar Nursing Scholarship Fund and brother to the late Mrs. Forfar. “We want to thank the Idle Hour management and staff, Bobby Clark Events, all of sponsors, donors, Kinderhook and our other musical performers for working closely with us to make our Five-Year Anniversary Party happen. It will be a fantastic afternoon to help the nurses and nursing students from Ocean Medical Center in Barbara’s memory. I would suggest that everyone purchase your tickets as early as possible as May 30th at the Idle Hour is really going to be something very, very special this year” Konopka finished. KINDERHOOK (formerly known as Kinderhook Creek) was one of the first “country rock” bands in New Jersey to play the club circuit. They performed up and down the east coast and also in Nashville. The band was active from 1973 to 1982, playing a regular circuit of top iconic clubs including The Wooden Nickel, Widow Brown’s, The Gypsy, The Final Exam, Dodds Crest, Dodds Orange, Creations, The Beach House (Point Pleasant Beach), The Stone Pony, The Royal Manor (Wall Township), Baby-O’s, and The Joint In-The-Woods. Kinderhook later opened for The Flying Burrito Brothers, Conway Twitty, Pure Prairie League, Nitty Gritty Dirt Band, The Outlaws, Richie Havens, New Riders of the Purple Sage, Commander Cody, Seals & Crofts and David Bromberg. At a career high point, Kinderhook opened for Poco in Central Park in NYC at the Schaefer Music Festival in front of 25,000 people. The band briefly re-united for a charity event in 1999 and in 2010 was asked to once again open for the New Riders. The enthusiastic responses to their appearances helped cement Kinderhook’s decision to continue to perform at selected events in the future. Today the lineup includes original members Jerry Kopychuk, guitar and banjo; Andy Fediw, bass guitar; Craig Barry, drums; and John Korba on keyboards and guitar. In 2011 Kinderhook added longtime Cowtown member Jimmy Ryan on pedal steel and guitar and in 2013, the band added Jim Messina’s violinist and guitarist Gary Oleyar. THE MANGOS, a Jersey Shore institution formed on the heels of the legendary Southern Cross Band, are led by singer, songwriter, musician Joe Prewitt, who has performed with countless major recording artists including Greg Allman, The Band, Charlie Daniels and Dolly Parton just to name few. The Mangos have since been performing at the Jersey Shore for over 25 years. The band also includes Jimmie Jett, Jimmy Callahan and Gary Hetrick. Their music is primarily in the Southern Rock vein but the band often venture into other influences such as R+B, Blues, Jazz and other classic rock sounds. TIMEPIECE, who appeared at Rock for the Nurses in 2013, has been rocking the Jersey Shore for over 20 years. Founded in 1990 by Terry Wildeman (lead guitar and vocals) who grew up in the shadows of Asbury Park and now lives in the Wall Township area and Fred DeFeo of Island Heights (drums and vocals), the band also includes Frank Pagano (bass and vocals) and Mike Scialfa (keyboards). Scialfa, who is the brother-in-law to New Jersey music legend Bruce Springsteen, along with Wildeman and DeFeo, have been around the Jersey Shore music scene individually for over four decades. NED RYERSON, returns to Rock for the Nurses for a fourth year in a row this year with his new band The Groundhogs. Ned and The Groundhogs are a full six-piece cover band based out of Toms River. Coming from a wide range of musical backgrounds, Ryan Tierney (bass), Matt Cicalese (drums), Brian Lloyd (keys), Bryan Murray (guitar), Ned Ryerson (guitar/vocals) and John Hoffman (ukulele/vocals) came together to form one of the most unique bands this area has to offer. For over 10 years Ned Ryerson has been a staple in the Jersey Shore music scene with no signs of slowing down. For more information about The Barbara Forfar Nursing Scholarship Fund, including all the details about the May 30th Rock for the Nurses Five-Year Anniversary Party, log on to the official website at www.forfarscholarship.org or connect with The Barbara Forfar Nursing Scholarship Fund on Facebook or Twitter.